I’ve started thinking about the top to my desk and this post should come in handy. I am asked the following question a lot – that usually means I should answer it. 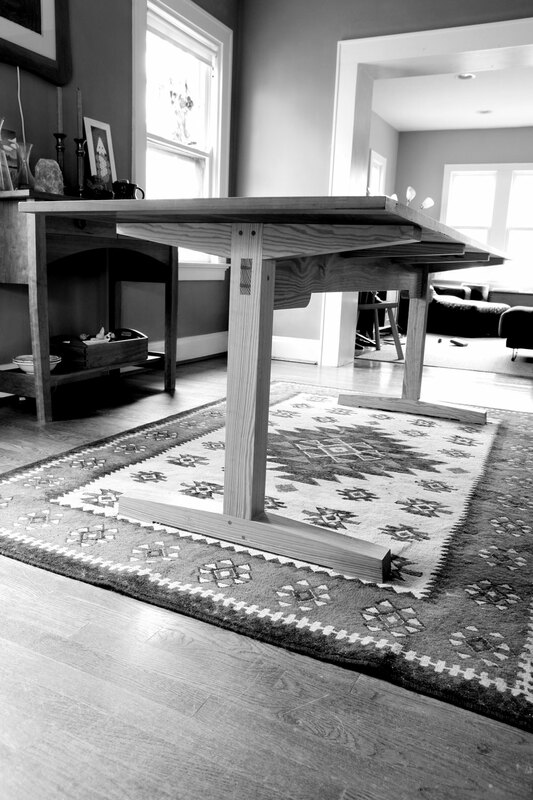 Question: I am building a trestle table based on the one you built. I have a dumb question. I was lucky enough to find 5/4-thick, 18″-wide walnut for $4/bf. I can most likely get a two-board top, but both boards are too wide for my planer. When gluing up the 32″-wide top, should I flatten the face of the boards then glue? Or should I first glue and then flatten? Answer: There are many ways to do it. Here’s what I do. 1. I scrub/fore plane both faces of the boards so I can see the grain and select the best faces.